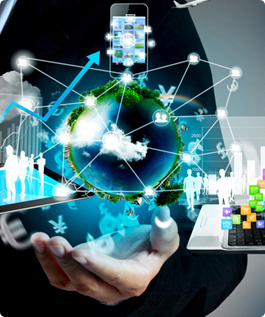 IT system of a company is it’scritical business resource, which needs the right support processes and management in place in order to be successful.When it comes to the IT industry, it is the quality of service that the companies deliver which paves the way forward towards the success and the popularity of the companies. In order to achieve such a business goal, companies need to make sure that the product and services they are providing to the clients are of best quality and attain excellent level of client satisfaction. IT systems are often overlooked or addressed just as a technology issue, but the information they hold is the most important strategic asset an organization has at its disposal. An effectively and efficiently managed IT services and systems are highly essential factors of business success. With increasingconcerns raised over the security and compliance of IT services, meeting the requirements of businesses and customers, an effective IT service management system isone of best available solution to this problem. Apprehensions have also been raised that IT services, whether provided by an in-house IT department or an external organization, are not aligned with the needs of the business and its customers.In such instances, an IT service management systemis one that helps to demonstrate both internally and externally that a business is meeting best practice in compliance with the international standards.Therefore, in today’s IT business environment, if you want to provide the highest standards of internal or outsourced IT Service Management (ITSM), to your clients the requirement for an ISO 20000 certification for your organization is highly important as international standard is widely recognised by the IT industry as evidence of excellence in all areas of IT service provision. WHY ISO 20000 IS IMPORTANT? WHO SHOULD GO FOR ISO 20000? If you’re into the IT industry managing internal IT services or providing IT services as an outsourced service provider (Service-Oriented Architectures, SaaS, Cloud Computing, Virtualization), your IT services need to be cost effective, competitive, reliable, consistent and efficientin-order to be successful. An Information Technology Service Management System ISO 20000 is an internationally recognized Management System Standard devised specifically for the IT industry which postulatesthe requirements for service providers to plan, establish, implement and maintain controls for an effective IT Service Management System within an organization.The standard’s specific set of inter-related management processes is based heavily upon the ITIL (IT Infrastructure Library) framework.It is important for the IT organization to ensure the required quality, establish effective and efficient processes, and react quickly and with flexibility when conditions change, and cover compliance requirements and show proof of adherence. The IT Service Management System is based on PDCA cycle and consist a systematic flow of Information and security, safety and prevention from threats and Risks with the requirements including design, transition, delivery and improvement of services to fulfill agreed service requirements.The ISO 20000 is globally accepted standard and is gained by large as well as small organizations to bring an equality in terms its positioning of brand reliability per say which adds up to the brand recognition. Part 1: Service management system requirements (ISO 20000-1:2011). 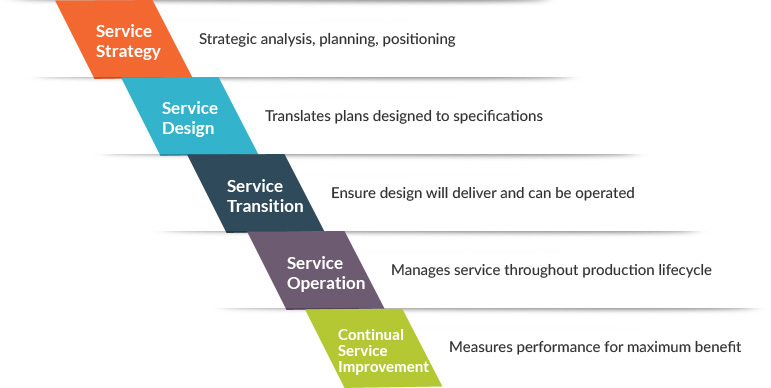 This part describes the best practices towards doing the service management processes within the scope of part 1. 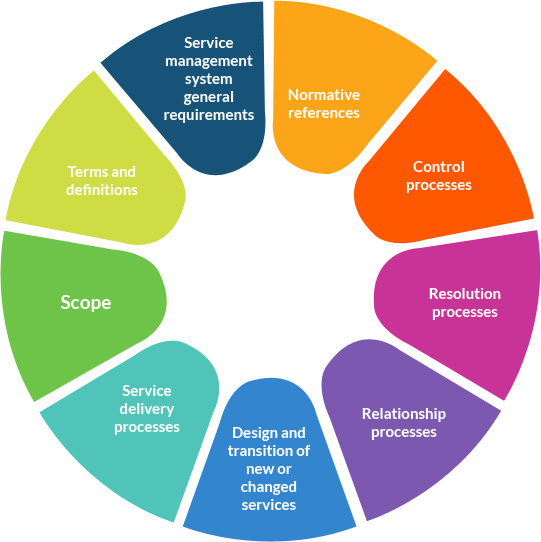 This guidance includes the use of an ITSM for the planning, design, transition, delivery and improvement of the ITSM and services, including service management policies, objectives, plans, service management processes, process interfaces, documentation and resources. The ITSM provides ongoing control, greater effectiveness, efficiency and opportunities for continual improvement of service management and of services. This part provides vital information on writing a scope for an ITSM, as well as providing information on implementing and the applicability of the IT Service Management System (ITSM) as defined in Part 1 of the Standard. The guidance in this Standard takes the form of practical examples, typical scenarios and recommendations that show how the scope of an ITSM can be defined, whether or not you have experience of defining the scope of management systems. This helps you develop a process assessment model according to ISO/IEC 15504 process assessment principles. This part specifies a process reference model (PRM) which describes each process in ISO20000-1, including the general service management system process, in terms of its purpose and outcomes. The process purposes and outcomes described in this Standard are the minimum necessary to meet the requirements of ISO20000-1. This art provides guidance on implementation plan for an ITSM that fulfill the requirements of ISO20000-1, using a generic three-phased approach to implementation as an example. It also provides advice on the development of a business case, the project initiation, and other activities recommended for the implementation to be successful. Supporting information for the ITSM implementation project and examples of policies to illustrate what a service provider may want to put in place is also provided, as is guidance on documentation management. Nowadays, an increasing number of organisations are implementing an IT Service Management System (ITSM), based on the ISO 20000 as a mandatory business requirement which enables them to independently demonstrate capability to their customers that they are meeting (and sometimes exceeding) industry best practice.The standard will very effectively align your IT service management with an overall business strategy and create a platform for effective business continuity management ensuring that you stay ahead in today’s online world. The implementation of ISO/IEC 20000 will ensure proactive working practices able to deliver high levels of customer service to meet client business needs. ITIL is best practice guidance but it is not possible to be accredited as a company against ITIL because, the standard is a specification which provides the company level accreditation to demonstrate the consistent use of best practice. Better alignment of information technology services and business strategy. Demonstrates a management commitment to quality. Creation of a stable framework for both resource training and service management. Differentiator to win new business as this is increasingly a requirement for many contracts, including government contracts. Induces competitive advantage by creating a formal framework for service improvement projects which are cost-effective. Creates opportunities to improve the efficiency, reliability and consistency of IT services via regular certification audits. Reduce costs by increasing efficiencies. Protect its brand, its assets, its shareholders, and its directors by retaining customers and wining new business. We suggest the Implemented policies, processes and procedures fulfill the requirement of ISO/IEC 20000-1:2011 for a basic ITSM, with focus on reacting quickly and effectively to service disruption and requests of all the services and related components that enables it to react to these service disruptions or requests. The ITSM, though complex, requires every individual who are a part of it to be aware of the system, its functionalities and benefits. However, it does not require every resource to have a deep understanding about it and the business routines. It is an audit that is performed at theinternal level to determine the fulfillment implemented ITSM in accordance to the standard. The main aim is to perform gap analysis to determine the weak points in the system and incorporates the findings of the gap analysis and the business case. The requirement is to establish and implement an ITSM structure, including service management plan, initial policies, commitment/ accountability, crises management and reactive processes in accordance with the standard. Management review is the place where important decisions for the ITSM are made and the ITSM Manager’s work is assessed. In this phase, adjustments to the plans based on previous review is carried out followed by revision of policies, additional processes, integration of existing processes, procedures and other supporting documentation. It is to ensure that the organization have the implemented activities, processes, procedures and control of components that enable it to anticipate and avoid service disruptions. Once our highly competent & qualified auditors who are experts in the sector, identifies that yousatisfy the requirements of ISO 20000-1-2011, we TRAIBCERT a leading accredited certification body will Issue the ISO 20000-1-2011 certificate. How TRAIBCERT can help you? TRAIBCERT being an independent third party accredited certification body, consist of a pool of highly qualified auditors who are well versed in the assessment of a whole host of the most widely predominant ISO Standards including the assessment of your ITSMin accordance with the ISO 20000 Controls, ISO 20000 Clauses and all requirements pertaining to the ISO 20000 Standard. Assurance of monitoring, measuring and corrective and preventive action properly and effectively. At TRAIBCERT, we provide more than just a certificate. We give them the tools to manage their IT systems more efficiently and assist them in addressing the strategic business value generated by an organization's IT department that fulfills the need to deliver high-quality IT services - not only in the back end, but also for customers and their interaction with the IT system. Whether you are looking for a minimal amount of training or a complete turn-key involvement, we can help you and measure our success by your improvement. It may be software companies, commercial enterprises, government agencies, non-profit organizations; TRAIBCERT’s service portfolio extends all the way from Gap analysis, training, audits, and Conducting Stage1 and Stage 2 certification audit, where we utilize our global knowledge molded locally to bring in the best results for our clients and partner their journey of standardization, compliance, growth, success and continual improvements. For more details to know how TRAIBCERT can add a value proposition to your organsation through our service portfolio in detail and to get a quote, please write to us at info@traibcert.in and/or contact us at India: +91-9952078401. We will be extremely happy to help you to the fullest.